This compact Stand Up Presentation Station is ideal for use as a walkup station to enter data or fill out forms. It’s the perfect companion for desktop, laptop or tablet computing. 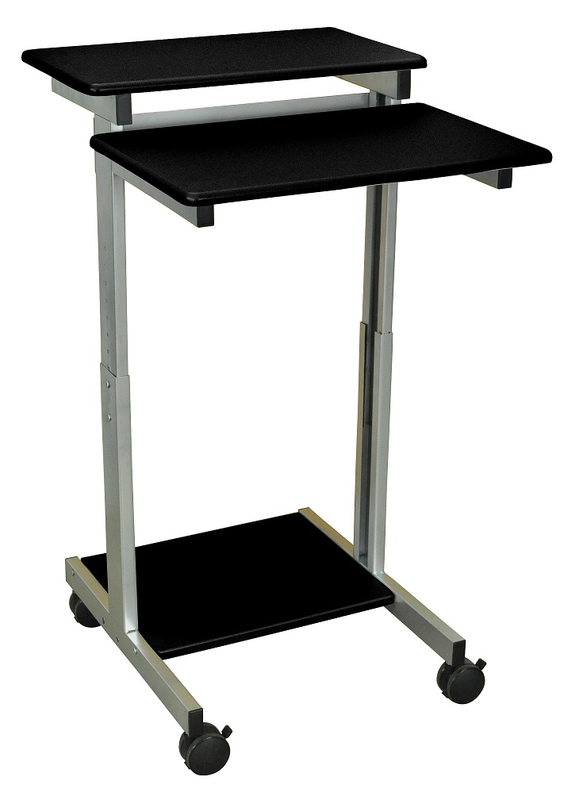 Mobile and adjustable to meet your everyday needs. Lower Shelf is 24" wide x 16" deep, height ranges between 28.5" - 40.5"
Upper Shelf is 24" wide x 14" deep, height ranges between 34.1" - 46.1"